We're so glad you've decided to visit us on a Sunday morning! We know you'll be glad you did. We offer three worship gatherings at 8:30, 9:45, & 11:00 AM. 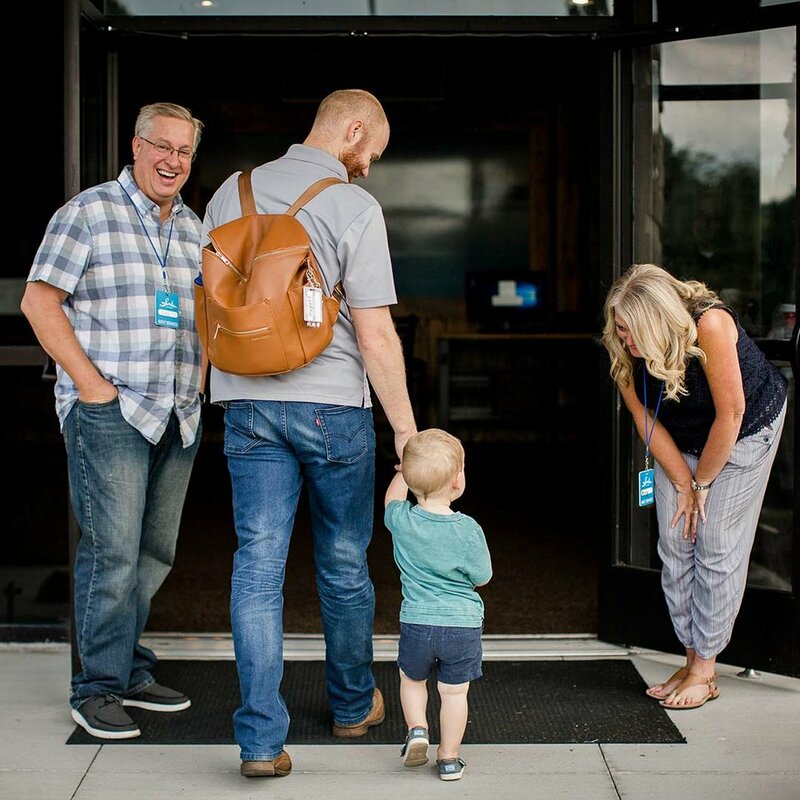 Each service features Biblical teaching, worship, and an opportunity to connect with one another. You can enter from either Westland Drive or Emory Church Road. Our lower parking lot is for families with children ages birth-5th grade. The upper parking lot is for those without children to check-in to our Shoreline Kids ministry. If you enter off Westland Drive, there will be a sign on the wraparound road pointing you to the correct lot. If you enter off Emory Church Road, you will be in the upper lot. We offer childcare for Birth - 5th Grade on Sunday mornings. Check-in is located on the lower level, accessed from the lower parking lot. Our check-in stations are located through the middle doors. If you are a first time guest, we have stations dedicated just for you to the left when you enter. We offer classroom experiences for all ages, and a special worship environment for Pre-K through 5th graders. Learn more about these experiences here. Avoid the First Time Guest Check-In line by pre-registering your kids HERE! All children ages 5th Grade and younger check-in with a secure sticker system; the check-in process is quick and easy, and you’re given a secure code where only you can pick them up. In addition, all teachers and caregivers undergo a thorough background check before they’re allowed to serve with children. Your kids are safe at Shoreline! If we need you during service, the number on your sticker will be displayed on the screens during worship.